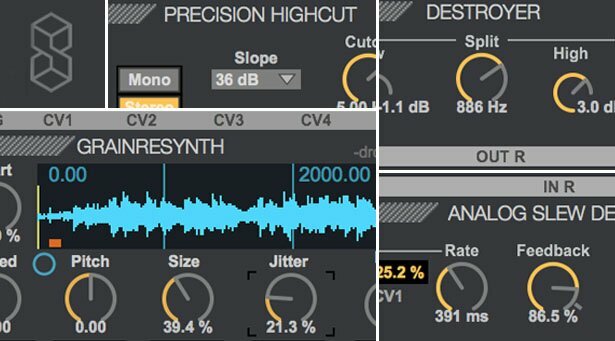 Max for Cats have just announced a free version of OSCiLLOT – their powerful polyphonic modular synthesis system. Users of Max for Live can download OSCiLLOT Lite and get patching right away – the Lite version comes with 26 modules and features 3 voices of polyphony. Check out the video below for a demo of what’s included and what’s possible with OSCiLLOT Lite. As with all things modular, it’s the creative combination and interaction of modules (not their absolute number) that makes things interesting. Max for Cats have also just updated OSCiLLOT to version 1.1. The update brings Max 7 compatibility and introduces a new Macro Mapping feature, allowing you to remotely control any OSCiLLOT parameter via automation and MIDI for full hands-on control of your modular patches. See all the new features in OSCiLLOT 1.1 in the video below.